Mel Gibson and Andrew Garfield Bring Their A Game to "Hacksaw Ridge"
Critics and audiences are entering Hacksaw Ridge with some obstacles to get past, and the movie is entering theaters with a good deal of baggage attached to it. This is Mel Gibson's first directing effort in ten years, and even with a decade of sobriety on his side, it's still the first of his films to have to bear the full weight of the bad name the superstar gave himself. It also has the potential stigma of being labeled a "Christian" movie, which can be off putting to mass audiences even when it's not coming from a director who has to battle the public perception of being an anti-Semite. At the same time, it runs the risk of being labeled not only an anti-war film, but an anti-gun film as well, and if there's two things the Duck Dynasty crowd doesn't want you to disrespect, it's guns and the troops (women are fair game for whatever.). It's not truly anti-gun or even anti-war, inasmuch as World War II is portrayed as a good cause, but it does strongly portray an alternative to the idea of bloodshed as the perfect solution and the idea that standing for one's principles isn't merely about the right to bear arms, but the right not to as well. And while this may be a Christian film, it's a fully realized film,not a shoddy niche market hunk of junk, and you don't necessarily have to be religious to find it be powerful and moving (though admittedly, it does help.). 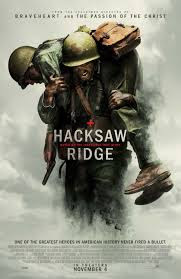 Hacksaw Ridge is the true story of Desmond T. Doss (Garfield), the first conscientious objector in American History ever to win the Medal of Honor for heroism in combat, after saving the lives of over 75 men in the Battle of Okinawa. Doss, a Seventh Day Adventist, enlisted in the army of his own free will, but refused to carry a firearm, having made a solemn vow to God that he would never brandish a weapon again after an incident in his youth showed him a side of himself he didn't like. We are first introduced to Doss as a child, and follow the story of his small town life up until the outbreak of World War II. Doss' father, Tom (Weaving), was an intemperate and sometimes violent man, still dealing with deep psychological wounds from the Great War. Much of what Desmond learns from his father is about what kind of man he doesn't want to be. Desmond falls in love with a young nurse named Dorothy Schutte (Palmer) just as the beginnings of the Japanese conflict are starting to rage, and he starts to study basic medicine. He goes off to boot camp with the plan of serving as a medic and marrying his sweetheart during his first furlough. 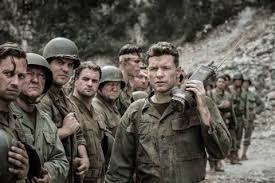 But boot camp proves to be a brutal experience, as Desmond's stance on carrying a rifle does not go over well his his Commanding Officer (Avatar's Sam Worthington), who orders the drill sergeant (Vaughn) to make things so hard for Doss that he will wash out. In addition, the other men, in particular a blustery young fellow called Smitty (Bracey), quickly unite against Doss, labeling him a coward and even beating him one night. But whatever they throw at this young man, he takes. He gets knocked down, but he gets up again (they're never gonna keep him down!). Eventually, Desmond's constitutional rights win out, and he finishes up boot camp, and is on his way to the Pacific. As you can imagine, Gibson's depiction of the nightmare of World War II in the Pacific is unflinchingly brutal, with plenty of blood and guts on display, as well as the frequent site of men being burned alive by flamethrowers (while this last detail is true to reality, Gibson also seems to be using the flames as a visual metaphor for hell, though it's less blatant and heavy handed than the other religious imagery in the film, such as shots evoking baptism and ascension.). For a brief period of time, we feared that the director was forgetting who the story was about as he suddenly concentrates on the men who are carrying guns, as they mow down the enemy and get mowed down themselves. But when we do go back to Desmond, it becomes pretty clear that no matter how many war movies we've seen, we wouldn't get the full impact of the contrast between their battle and his battle without seeing his comrades engaging in frightening and violent combat. One of Gibson's most impressive achievements visually is that he doesn't just shoot these scenes in a self conscious imitation of Saving Private Ryan like every other W.W. II film in the past fifteen years. The influence isn't absent, but he trusts his own instincts and style. Some of the staging in these sequences is really astounding, an organized chaos executed with remarkable finesse. 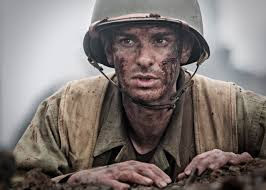 Andrew Garfield gives the performance of his career as Doss, bringing so much charisma, fierce determination and humility to the character that we become instantly loyal to him. Desmond's emotional and moral center makes him one of the easiest heroes to root for in some time, driven by love rather than rage (Desmond even treats a few Japanese casualties.). He's not a one dimensional saint, he's just a truly good person. The complex and unpleasant character of Tom Doss, and the conflicted feelings of love and hate that Desmond feels toward him, are handled with sensitivity, without becoming too defensive, and a portrayal that frequently runs the risk of being too melodramatic ultimately rings true, thanks to stellar work from Hugo Weaving and Gibson (it's pure conjecture to say that there may be some of Gibson's controversial father here, but there is certainly plenty of Mel himself in the character of the troubled, angry and self loathing alcoholic.). Luke Bracey is memorable as the antagonistic Smitty, and Worthingon and Vaughn give strong turns as the macho military men. Teresa Palmer, as Desmond's love interest, is largely just that, the love interest, but she displays a a good deal of charm and elegance, and the chemistry between the two is very strong (If you're noticing a pattern of Australian actors, you're not alone. Co-writer Andrew Knight is also an Aussie, and for whatever it's clear that Gibson wanted a sense of returning to the land of his own youth behind the scenes.). 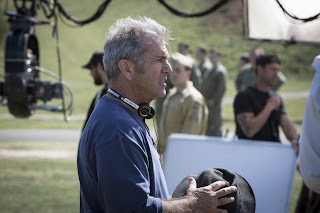 Stylistically, more than either of is other films Gibson has directed since Braveheart, Hacksaw Ridge screams that it comes from the director of that Oscar-winning epic, from the impressively staged, blood-spurting battle scenes to the sweeping helicopter shots of beautiful country sides to the slow-motion sequences to the lovingly photographed depiction of young love. Dramatically it's just as reminiscent, employing a rousing, melodramatic, almost operatic tone and being almost worshipful of its hero, an uncompromising man who will take on the world if he has to in order to stay true to his cause. Gibson doesn't do subtlety, he does grandeur, creating sentimental and romantic, old fashioned Hollywood epics with graphic 21st century violence. Of course, Gibson can be accused of having his cake and killing it too by making a film about non-violence so graphically violent, but there's something resonant about seeing the same techniques used to lionize William Wallace's bloodthirsty, vengeful revolutionary used 21 years later to sing the praises of Desmond Doss' gentle, non-violent spirit. Garfield's skinny, awkward kid is almost the exact opposite of the burly, macho alpha males who usually populate these kinds of films, and he offers a deeper and much more mature form of bravery. It's understandable that many will not be able to get past the controversies surrounding this troubled and troubling artist, but if you can, or are even open to trying, there's a lot to admire here. 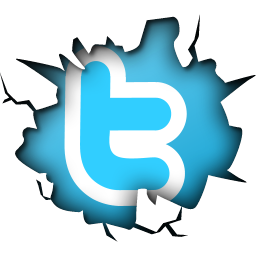 Still, the specter of the past looms over it often. There's a lot of possible subtext here, and it's hard not to speculate as to whether Desmond Doss' promise to God and the world to be a better person is meant to tell us something about Mel Gibson's state of mind and his level of contrition. Whether that's something you want to be able to believe, or to be able to dismiss, is entirely subjective. But what is certain is that Mel Gibson the director has a great deal of vision and drive left in him, and his career is not over yet.